The old school movement is booming right now with so many cool gatherings and rides going on. 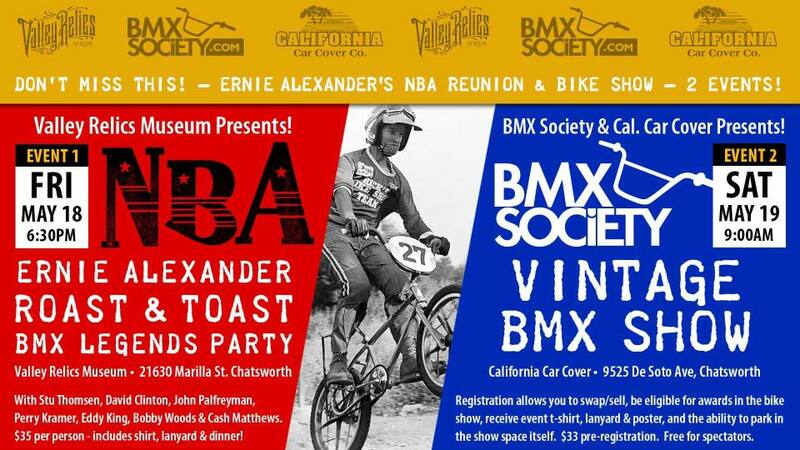 This coming weekend in Chatsworth, California the guys at BMX Society have a two-day event kicking off Friday night with Ernie Alexander Roast and Toast BMX Legend’s Party – with the likes of Stu Thompson, Eddy King, David Clinton, Perry Kramer, Cash Mathews and Bobby Woods just to name a few. The Vintage Show starts on Saturday at 9am, which from social media looks like it is going to be a big event. Link.